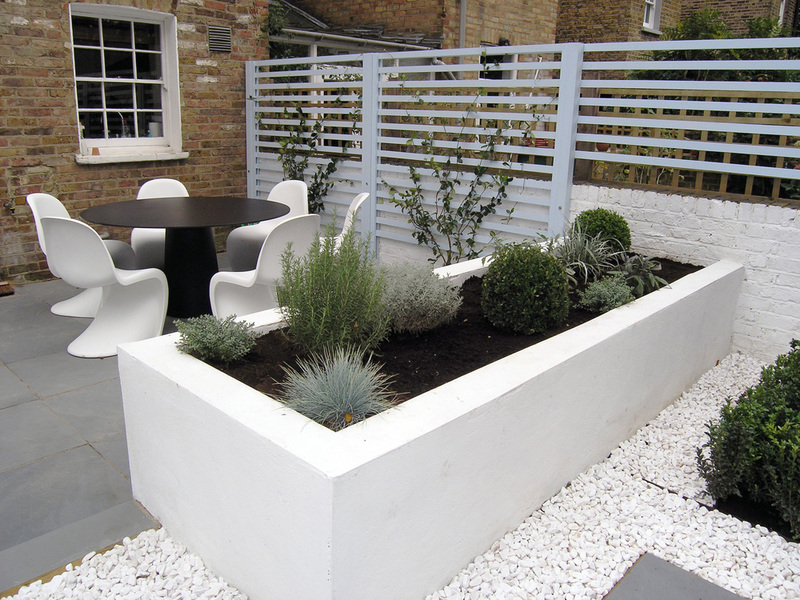 This garden belongs to a young North London couple who asked us to transform their narrow overgrown west facing town garden. 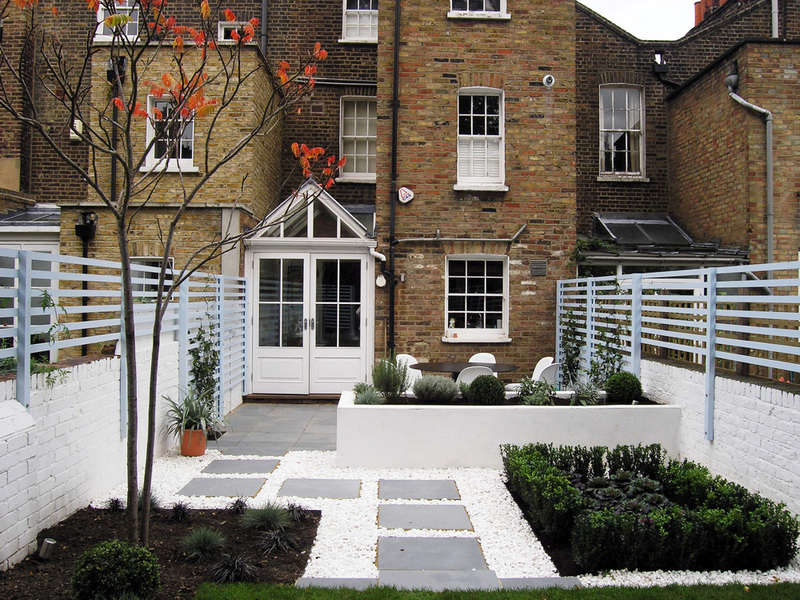 They required a contemporary, low maintenance child friendly space with lawn to play on and a good sized patio for entertaining. 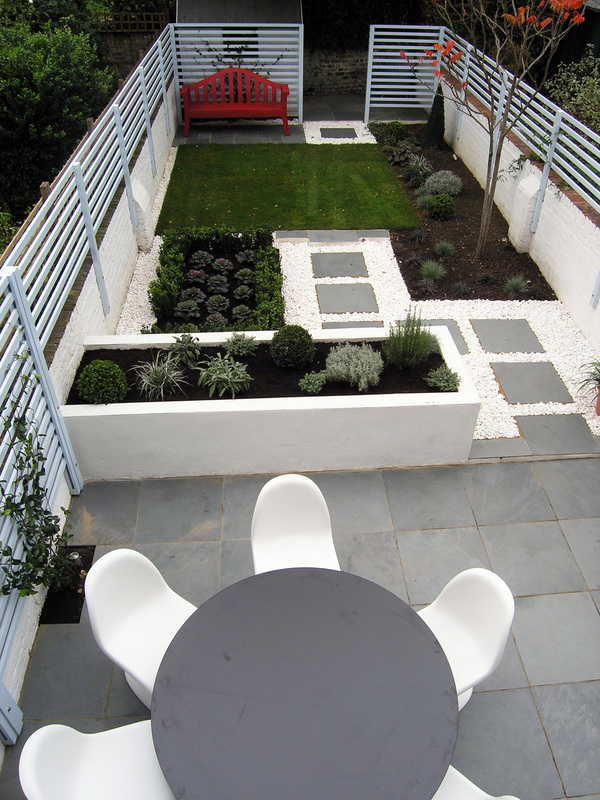 Natural Brazilian Grey slate was chosen as the main hard surface with matching stepping stones set amongst pure white pebbles leading to the lawn. 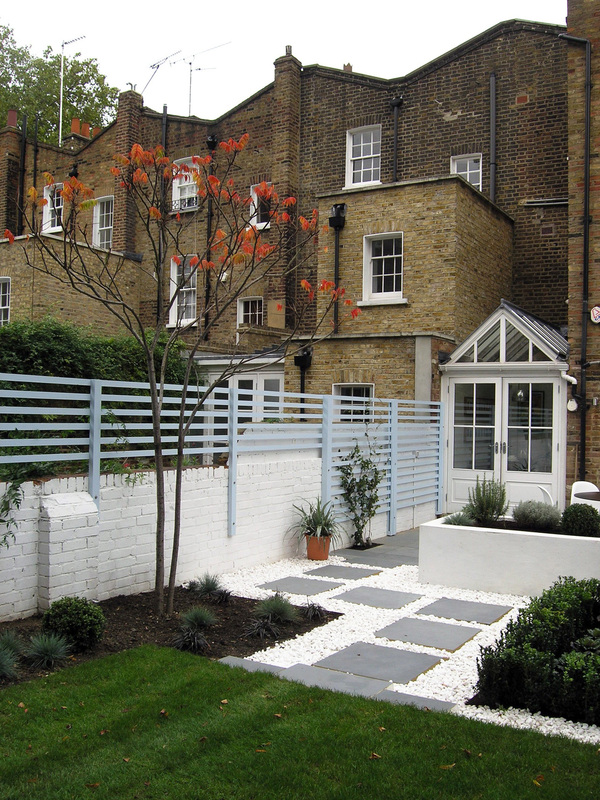 The garden was built on three tiers with a rendered brick planter dividing its length, providing a secluded outdoor patio space. 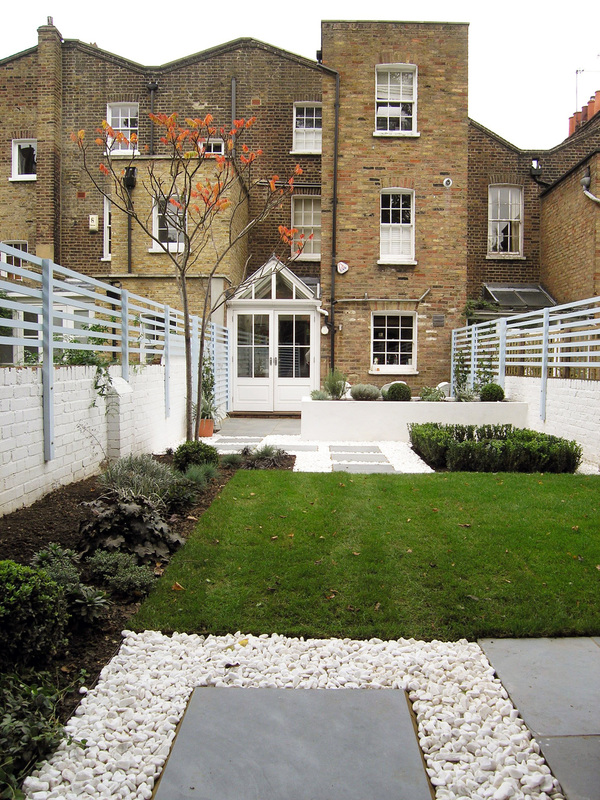 Aqua blue horizontal fencing continue the cool colour palette. This is offset by the flame autumn foliage of an architectural Rhus tree and raspberry red bench. Evergreen structural planting and a small annual parterre surrounded by low box hedging provides year round seasonal interest.